I have recently joined a group called ‘Fresh From the Oven’ which is a monthly bread baking group. In essence the group has a monthly challenge to all bake their version of a given bready recipe. This months challenge was curry stuffed buns. I made them really early in the month and have been desperate to post this as I think they look so cute! I guess I am quite pedestrian in my bread making in that I tend to make what I know, so this was something I would never have tried had I not been given a good nudge. Sometimes it’s good to bake outside of your comfort zone. 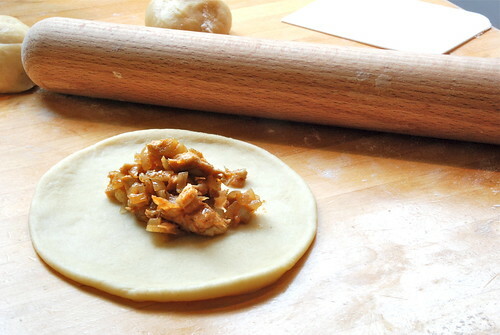 I made the filling first, so as to leave plenty of time for it to cool. 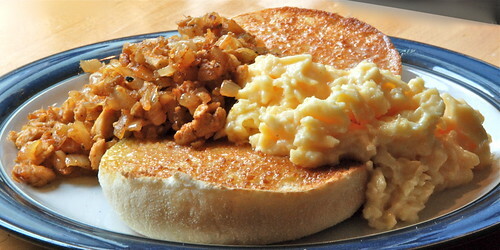 I didn’t waver from Ria’s original recipe too much as I need to understand the basics of a recipe before going off-piste, but I did cut the onions down to 3, as 4 of the big onions I had seemed like a lot of volume. I also went for a teaspoon each of turmeric, coriander and cumin for the spices, with a small teaspoon of chilli as I didn’t want to make them too spicy for the boy. I found getting the rolls to stay back in little balls once I had filled them a bit tricky, and tried various methods of pinching them back together and tucking bits under, but this didn’t seem to show in the end as the rolls puffed up beautifully and covered up my cack-handedness. I had a beaten egg to hand (as you do), so I glazed the rolls with this rather than the suggested egg white which is what made them more golden than Ria’s, and a bit two tone! I also ended up brushing off most of the seeds when I glazed them so I may glaze them first next time. I used half sesame and half onion seeds on the top for a bit of contrast. They baked very quickly and looked divine when they came out of the oven. I was unsure as when one eats a chicken curry stuffed bun, but I needn’t have worried as we found that they were good for elevenses, for lunch, along with soup, beer o’clock (a particularly good pairing we think) and supper. We managed to polish them off in no time. In fact we keep thinking of other things we could add to the stuffing, like a chick pea and potato curry or chilli beef, and thinking of other times when we could justifiably make and eat them. They would be great for picnics. I am really looking forward to finding out what the Fresh from the Oven Challenge is for October and I think I may make some more of these right now. Fresh from the oven – Baking one loaf at a time. Fresh from the oven is a monthly bread baking group. Challenges are announced on a private blog on the first of each month and then on the 28th of the month each member posts their bread on their blogs. Why not follow us on twitter, view our public blog which showcases all our efforts or email us to join at freshfromtheoven AT hotmail DOT co DOT uk. 22.09.09 I baked the buns again this Weekend but I think I might have killed the yeast by adding it to the milk mixture before it cooled enough so they did not rise properly which was a shame. They still tasted good. I followed the instructions in just the same way, so unless it was a bad batch of yeast this must have been what happened. I didn’t photograph them as I wanted to remember them as their perfect bunliness from the 1st occasion. On to the next attempt! They look fantastic! 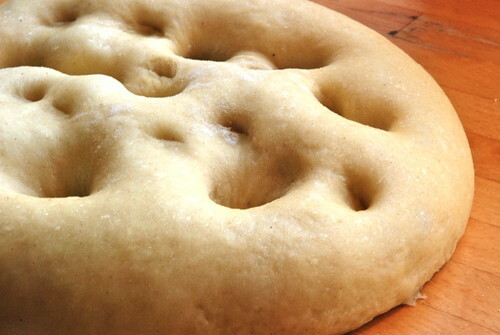 Looks like your dough rose far better than mine. Mine was like playdoh consistancy. Thanks for taking part. I’ve seen next months challenge and it looks great. They look great! I had quite a lot of mixture left too, mine went in the freezer for round 2! I also had to tone down the chilli for feeding my boyfriend too, think next time will do one spicy and one mild, like the sound of the spice combo you used. Welcome to Fresh From The Oven. Love your blog. Your stuffed buns look great. My dough was a bit like playdoh as well. The stuffed buns look amazing! I will definitely be trying this recipe. How are those new raised beds working out? Are you planting any cool weather crops? I can’t wait to see what they look like next spring! Ah! So that’s what I’ve done. I will go and change the link and get reading. We have not filled the beds yet as Ed has been busy building a deck. We need to get the compost bins emptied into them and perhaps transfer some of the kale and cavalo Nero and leeks that I have in pots. Will make a start this Weekend. Thanks! Oh my god! 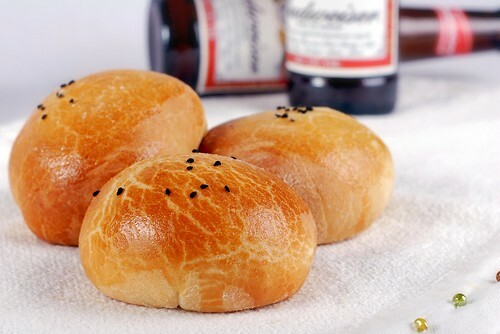 I can’t help but click in when I see curry buns on foodgawker! 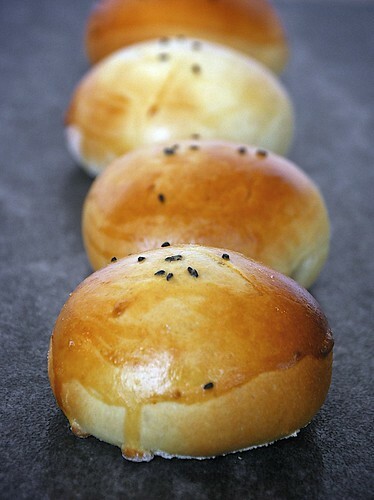 These are common and popular in the bakeries in Singapore. I will love to make them myself! Thanks for sharing the recipe! Thanks for everyone’s kind comments. 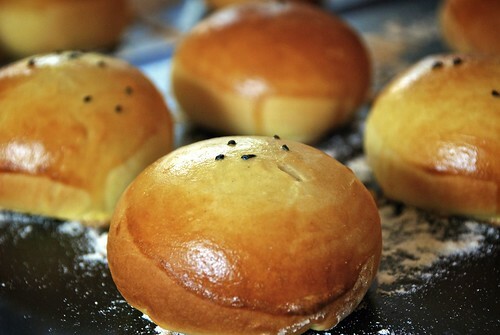 Since these buns have been on Foodgawker.com they have got over 100 hits a day! They certainly are popular little buns. This is one of the best recipies I’ve tasted! I’m making it right now and love the chicken! You’re amazing! Thank you i love this recipe. I have made it many many times. And it’s always a big hit. But i haven’t made the chicken exactly how it says. Won’t that many onions be too much ? I find it works fine!